Alla Ivanovna Sizova was born in Moscow on 22 September 1939 but her family immediately moved to Leningrad where she grew up. 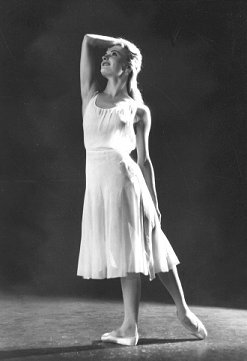 She studied at the Vaganova School in Leningrad under the distinguished teacher Natalia Kamkova. Such was the attention she attracted while still at school, she made her debut before her formal graduation as the Queen of the Dryads in Don Quixote on 23 March 1958. She was an immediate success and was recalled to the stage after her variation numerous times. This was heralded as a major debut. Three months later her graduation performance with Rudolf Nureyev in the pas de deux from Le Corsaire drew critiques focusing on her amazing technical freedom and fluidity of movement. The success was immediate, and her future was assured. Together with Nureyev she danced at festivals in Moscow and Vienna and having joined the Kirov Ballet formally at the beginning of the 1958-59 season she also began touring with the company. Both dancers bypassed the corps de ballet and immediately were accepted into the ranks of the first soloists. Their partnership looked set to become the central point of the Kirov's younger generation. But with Nureyev's defection in 1961 the future offered Sizova another legendary partnership with Yuri Soloviev and also later she regularly performed with Mikhail Baryshnikov. Her first full-length role in the theatre was in Vainonen's Nutcracker partnered by Nureyev with whom she also danced Princess Florine in The Sleeping Beauty. In the first three years in the theatre she learned 14 major roles including Myrtha in Giselle, Chopiniana, Katerina in The Stone Flower and the premiere of Belsky's Leningrad Symphony. She enjoyed immense popularity on the first tours by the Kirov to Paris, London and New York in 1961. She was very successful as Katerina and Princess Florine but she was a great favourite as Aurora. Her interpretation has been preserved on film with Sizova for which she was awarded the Anna Pavlova Prize from the Paris Academy of Dance. All these roles were prepared under the guidance of Alla Shelest. 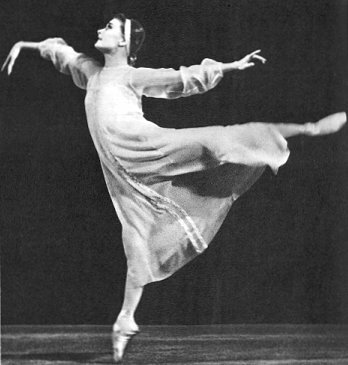 Initially Sizova triumphed in roles demanding fluidity in classical technique but Katerina and Leningrad Symphony opened up a more dramatic side to her talents which was later to make her one of the most popular Juliet's and aided by her light and airy elevation a wonderful Giselle, and it was in these roles that her partnership with Yuri Soloviev, along with Konstantin Sergeyev's Cinderella possibly reached its most impressive. But the performances of the pas de deux Le Corsaire and Flower Festival in Genzano thrilled audiences across the world. A serious back injury caused an absence from the stage in the mid sixties for two years, and she was missing from the 1966 London tour. Her presence was sorely missed but when the returned in 1970 she again amazed the London audiences showing no loss of technical capability and showing new depth in her interpretations uniting both technique and drama to create a really uplifting and spiritual Giselle. 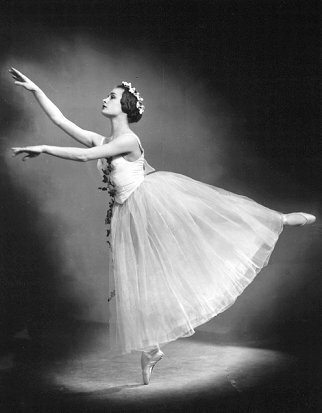 Sizova remained at the forefront of new work in Russia and took part in many premieres at the Kirov Theatre, such as Sergeyev's Hamlet in 1970, but the real core of her repertoire remained the classical romantic ballets where her technique and subtle acting skills really put her gallery of heroines from the Maryinsky heritage firmly into the history books. Her performance as Kitri in Don Quixote with Baryshnikov set new standards for the Kirov. Her variation from Paquita with its Italian fouettés, and the pas de six from La Vivandiere have not been surpassed. But her inner spiritual quality as a performer was perhaps best utilised as Maria in Fountain of Bakhchisarai and Juliet where her emotional depth and her feminine vulnerability were particularly sympathetic. In recognition of her special place in Russian ballet she was awarded People's Artist of the USSR in 1983. Her final performance on the Kirov stage was in Chopiniana in 1988 and she then immediately accepted a post on the faculty of the Vaganova School. Since 1990 on the invitation of Oleg Vinogradov she has been working in Washington DC. Alla Sizova died on 23 November 2014. Text of Alla Sizova Copyright � 2001 Geoff Whitlock. All rights reserved.